I surprised that it only took two fish to satisfy Baby. I'm surprised that Sweetie likes since it was against eating animals. Does it look like there's 2 fishes >_> oops. I'd also imagine there'd be some sort of debate over my menu choices for this scene. One of these days I'm going to write a huge blog entry about Sweetie's food choices in case anyone is willing to read about my thought process. 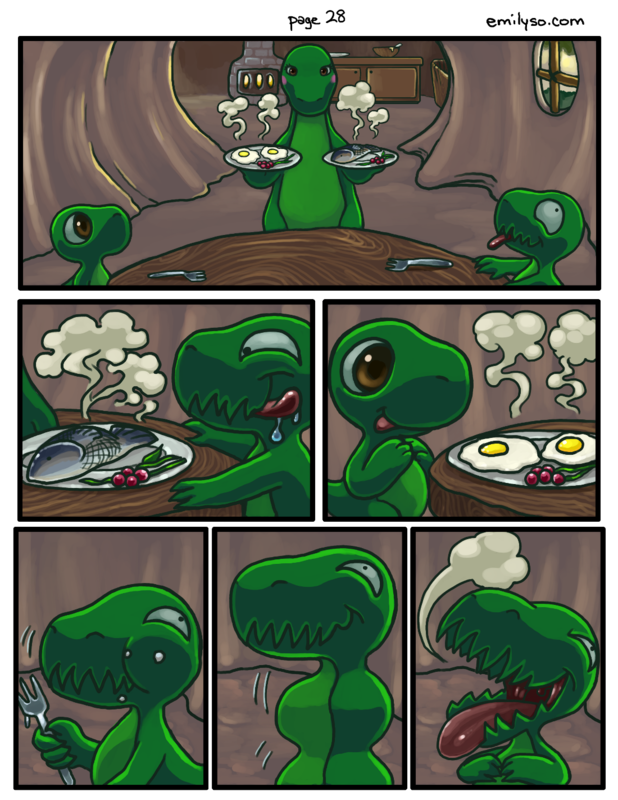 Thank you so much for your continued interest in Dinnersaurus! @bemily: Ah, thank you for that explanation. You make a good point with the 2nd and 3rd statements.